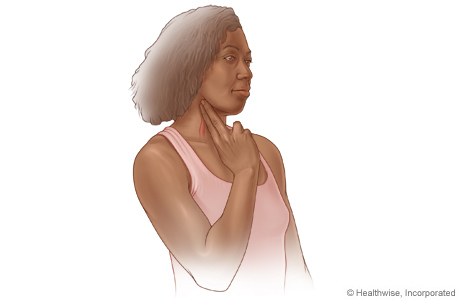 You can also check your pulse in the carotid artery. This is located in your neck, on either side of your windpipe. 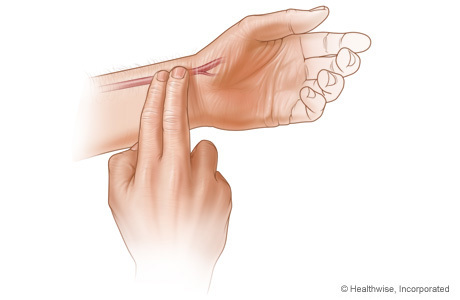 Be careful when checking your pulse in this location, especially if you are older than 65. If you press too hard, you may become light-headed and fall.